I’ve seen so many advertisements for HFCS (High Fructose Corn Syrup) both in print and on the television. According to the ads, HFCS is no worse for you than sugar. Heh. The FDA says its safe, but then they also allow our foods to be painted with chemically derived colors and flavorings and are telling us that BPA is safe. We know better. No chemical is safe enough to be in my families food. Just what does “Generally Recognized as Safe” mean? Does that mean its safe until proven otherwise? How asinine is it that we live in a country that allows our foods to be dumped full of chemical additives and we say “hey, its safe if it doesn’t kill you.”? HFCS can not be considered an “all natural” product because it is HIGHLY processed and contains at least one GMO (Genetically Modified) enzyme (used during processing). However, the FDA currently doesn’t regulate the use of “all natural” on food labels, which is why we must read every label every time. 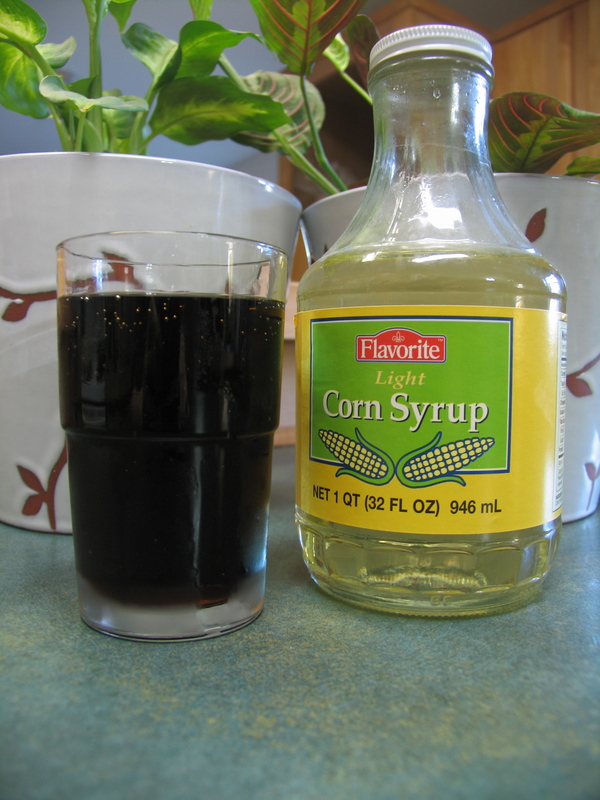 High Fructose Corn Syrup is not something that is commonly found in truly natural foods (like those found in co-ops, natural food stores, vegan stores, etc…). In these foods, you will find Pure Cane Sugar, Agave or Honey as the sweetner of choice. Why? Because they are natural, as in FROM THE EARTH not from a manufacturing process and the use of GMO’s. All sugars should be consumed in MODERATION. There is no doubt that over indulgence in sweet foods and beverages is at fault for our rising obesity rates. We should always be aware of our diets and what our children are eating. Restricting sweet foods entirely is more likely to lead to binge eating, sneaking and overall unhealthy eating habits. Teach them while they are young how to enjoy a variety of foods in healthy amounts and how to make better choices. It’s best for their futures. « Here Comes The Flu – 10 Ways To Beat It The Natural Way! It is just so true. I try to stay away from HFCS and artificial sweetners ever chance I get. I love your blog. Have a great day. As a registered dietitian and expert nutritionist, I applaud that your response makes some good points: that people should avoid overprocessed foods and that all sugars should be consumed in moderation. This is sound advice! However, there is some misleading information that consumers are hearing too often. I am very concerned with misinformation about HFCS. Confusing the public is dangerous because it leads people to falsely believe they can cut one thing from their diet as a magic cure…we saw this with the low carb fad, which we now know is not a healthy long-term diet choice. 1. HFCS is a simple sweetener that is handled by your body just like sugar or honey. There is no difference. Scientists continue to confirm that HFCS is metabolized no differently from other natural sweeteners. 2. High fructose corn syrup is made from the process commonly employed in the corn refining industry and meets the FDA definition of natural. In addition, the American Medical Association has concluded that “high fructose corn syrup does not appear to contribute to obesity more than other caloric sweeteners.” As your article notes, however, this does not mean people should overconsume, any more than they should take in too much sugar or honey—common sense needs to rule! 3. The type of HFCS used in soft drinks has about the same amount of fructose as sugar, and is essentially the same as sugar. The HFCS used in breads, jams and yogurt is 42% fructose – actually less fructose than what’s found in sugar. 4. Many confuse pure “fructose” (a sugar also found in fruits and vegetables) with “high fructose corn syrup,” a sweetener that never contains fructose alone but always in combination with a roughly equivalent amount of a second sugar (glucose). Some studies about pure fructose have been inappropriately applied to high fructose corn syrup. Please explain to me why my daughter is lethargic and very warm to the touch within minutes of eating food containing HFCS. It goes away 2o-60 minutes later after sitting still and consuming LOTS of cold water. Something is happening in her body that is NOT normal. I am not sure, perhaps it has to do with how she is metabolizing it. I would avoid it for sure! Even if I bought that HFCS is no nutritionally different – and I certainly do not – the bigger issue is that HFCS is so abundant & inexpensive that manufacturers sneak it into EVERYTHING. Why on God’s green Earth should sandwich meat (chicken, for example), cheese, bread, canned tomatoes, or any of hundreds of other foods have -ANY- sweetener in them, much less a corn-based one? Because it’s a cheap filler. If food producers had to foot the extra cost of using more expensive sweeteners, they’d lay off of needlessly adding them at all. That our taxes have already paid for the corn once and we’ll gladly pay for it a second time (in the products that contain HFCS) makes it very, very cheap for the manufacturers indeed. Monsanto LIES about everything! Everything that comes out of that corporation is poison! I have to spend ten or fifteen minutes at the supermarket, just to find ONE item that isn’t full of GMO poisons! That usually ends up being in the produce section. No offense, Page Love, RD; but you really need to go back to a school that doesn’t get its’ funding from the “Corn Growers Association of America” and Monsanto! At the very least; you should search on “mercury found in HFCS”! There is noticeably a bunch to know concerning this. I believe you made various nice points in features additionally….